Singer/songwriter St. Vincent Has Teamed Up With The Ernie Ball Music Man Company To Create A Custom Electric Guitar. 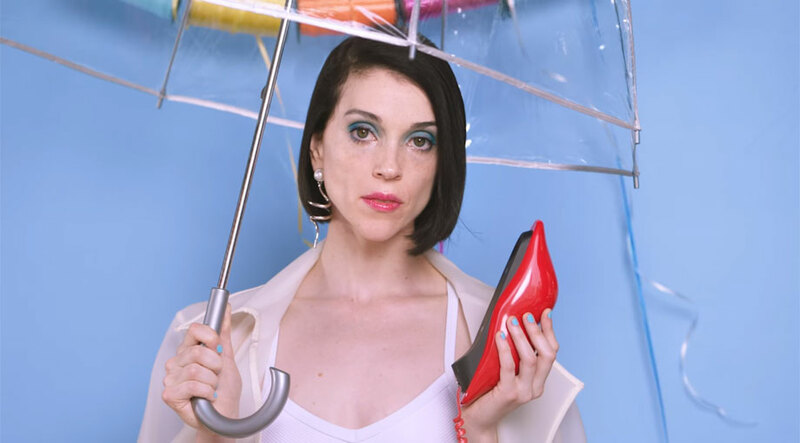 The Grammy Award winner, real name Annie Clark, worked with experts at the California-based firm to design a signature axe, simply called St. Vincent. The guitar was crafted to perfectly fit her form, playing technique and personal style, and it will be available in either sleek black or 'Vincent Blue'. Clark, who recently showed off her impressive guitar skills as a surprise guest at Taylor Swift's recent Los Angeles concert, admits the experience of making the guitar was thrilling, stating, "I'm extremely grateful to have been given the opportunity to design a guitar this personal with this company, this family, in whom I believe so completely. "The entirety of my experience as a guitarist is invested in this instrument. I sought to create a tool that would help and inspire those who share my priorities in a guitar, namely that it be comfortable and lightweight and that it exhibits clean lines, all without sacrificing tone flexibility." The St. Vincent axe will be available for purchase in 2016.